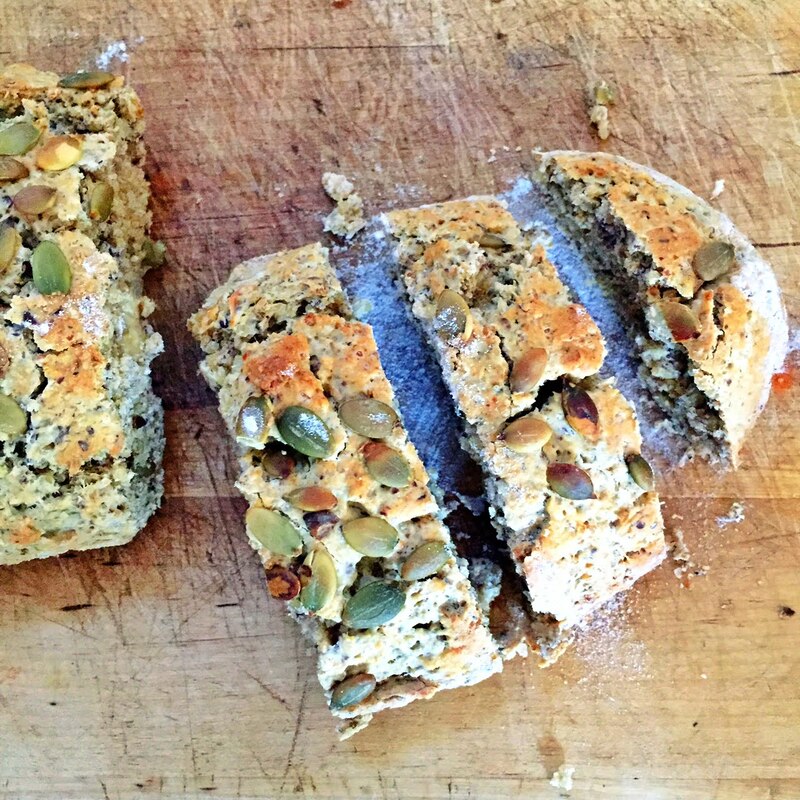 In support of Coeliac Awareness Week, here is my favourite gluten-free bread recipe! It’s healthy, full of protein & tastes amazing! 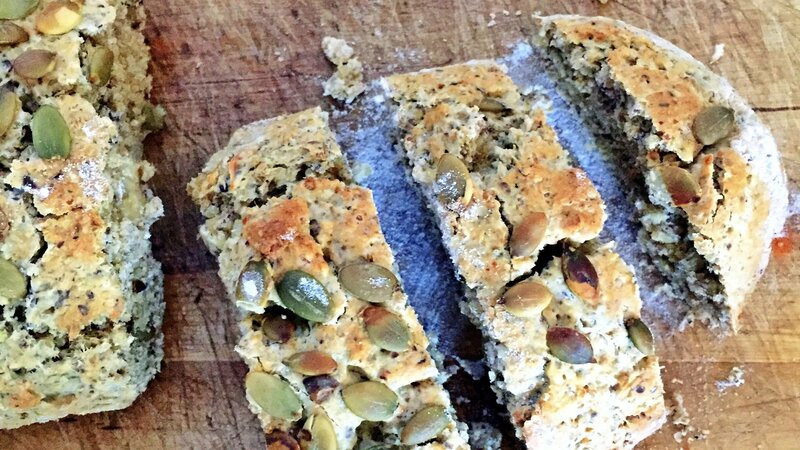 Line a large baking tray with baking paper & spread seeds & nuts across it evenly. Toast for 5-10minutes. Remove and place in a large bowl. Add remaining ingredients to the bowl & stir to combine until thickens. Cover with a damp tea towel & leave to sit for 1 hour. Grease a small loaf pan & line with baking paper. Spoon dough into the loaf pan, spread evenly & press down firmly. Bake the loaf at 180C for ½ hour. Remove pan from oven & carefully lift out the loaf. Carefully, flip the loaf upside down onto the baking sheet and bake it for another ½ hour to 45min uncovered, until golden brown & firm. Remove from oven & cool loaf completely on a cooling rack. Slice and enjoy! A note on Coeliac Disease – 1 in 70 Australians have coeliac disease & only 1 in 5 have been diagnosed! If you experience regular bloating & wind, diarrhoea, constipation, heartburn, nausea, fatigue & irritability, you should see a health care professional & get tested for Coeliac Disease. Is it possible to make this bread with eggs and yeast and for it to taste good? And do you recommend soaking the seeds and nuts before roasting? I don’t do sugar. Do you have any suggestions? And I really try to avoid maple and honey as well…so I’m basically asking do I need the added sugar- will the bread be awful without it?